Thank you, Hiruy. An excellent piece. There is something behind yesterday. And digging that out is joyful and exactly interesting. GOD BLESS YOU! 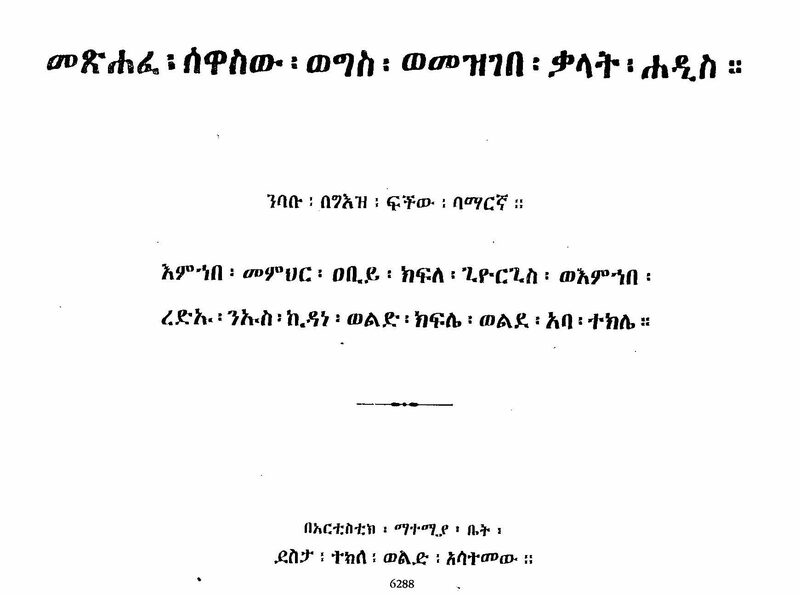 የታተመው “መጽሐፈ ሰዋሰው ወግስ ወመዝገበ ቃላት ሐዲስ” የሚሸጥበት ልዩ ቦታ የት ነው?